The Golden Cemetery now offers a memorial wall inscription and record-keeping service. This is to serve as a form of remembrance and memorial for those who choose to cremate and, for a number of reasons, not inter the ashes into a cemetery. 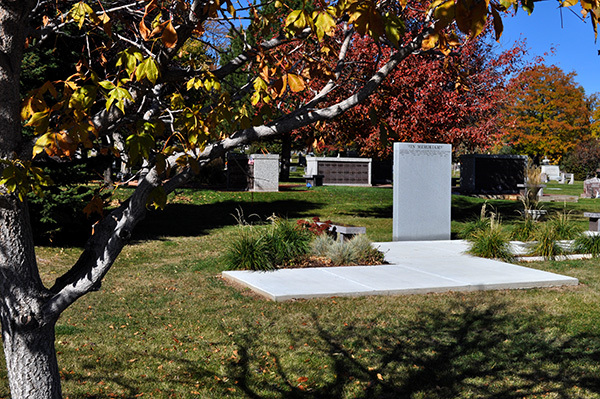 It is to provide a place for the deceased’s life to be remembered and never forgotten. Genealogy is a large part of today’s society and the City of Golden will be able to maintain these records forever. The Golden Cemetery will also engrave the name and dates of the deceased on our memorial wall. This will provide for the loved ones a place to visit that is in a very serene setting with gardens and water features. The cost for this service is $750.00.